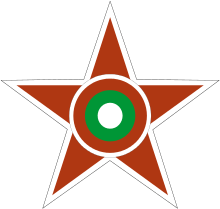 The Bulgarian Air Force (Bulgarian: Военновъздушни сили, ВВС) is one of the three branches of the Military of Bulgaria, the other two being the Bulgarian Navy and Bulgarian land forces. Its mission is to guard and protect the sovereignty of Bulgarian airspace, to provide aerial support and to assist the Land Forces in case of war. The Bulgarian Air Force is one of the oldest air forces in Europe and the world. In recent times it has been actively taking part in numerous NATO missions and exercises in Europe. The current commanding officer of the Bulgarian Air Force is Major General Constantin Popov. The history of the Bulgarian Air Force can be traced back to the end of the 19th century, when in 1892 at the Plovdiv International Fair two lieutenants of the Bulgarian Army flew in the ‘La France’ balloon of the Frenchman Godard. Later, inspired by the flight, they succeeded to convince the General Staff that the Bulgarian Army should build a balloon force. The Imperial Aviation School in St. Petersburg enrolled Lieutenant Vasil Zlatarov as a student, following numerous refusals from military schools around Europe to teach Bulgarian officers to use airships. On 20 April 1906 "Vazduhoplavatelno Otdelenie" (roughly translated as Aviation Squad) was created to operate observation balloons for the army, initially being a part of Railway Battalion. After graduation Lt. Zlatarov was appointed its first commander. After operating small balloons, in 1911 a bigger Godard balloon was bought, and in 1912 the first balloon Sofia-1 was constructed in Bulgaria, of materials bought from Russia. 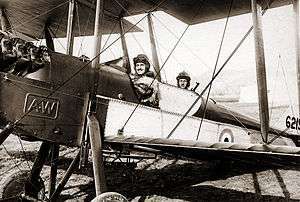 Intelligence about the Turkish army strength and dispositions in the Odrin(Adrianople) keep was required, and on 16 October 1912, two aviators performed a reconnaissance flight over the city in an Albatros FIII biplane, dropping also two bombs, which was not only the first military mission performed by a Bulgarian aircraft, but also the first combat use of an aircraft in Europe. 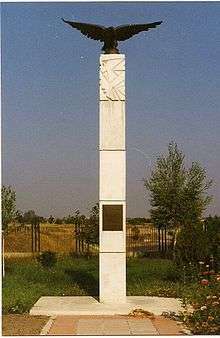 The first air strike against Bulgarian targets was carried out by 4 Yugoslav Dornier Do.17Kb-1 on 6 April 1941 on the city of Kyustendil and its railway station killing 47 and injuring 95, mostly civilians. The air strikes intensified in the following days; British Royal Air Force units based in Greece participated in the attacks as well. 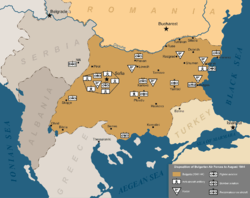 At the end of April 2 and 5th Bulgarian armies occupied Greek and Yugoslav territories according to an agreement with the Third Reich. As a part of the joint armed forces' effort on June 26, 1941 6 Avia B.71 and 9 Dornier Do 17M bombers were transferred to the Badem Chiflik airfield near Kavala (in modern Greece). They were tasked with ASW patrols and air support for Italian shipping over the adjacent area of the Aegean Sea. 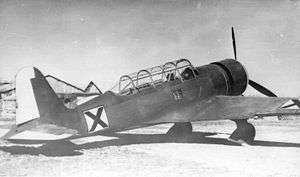 In addition 9 Letov Š.328s based in Badem Chiflik provided the ground troops with air reconnaissance. At the Black Sea shores the "Galata" Fighter Orlyak was established at NAS Chaika, Varna, with the 10 Bf 109E-4s and 6 Avia B.534s. The S.328s were also used for ASW patrols over the Black Sea, flying out of the Sarafovo and Balchik airfields. At the end of 1941 the inventory of His Majesty's Air Troops consisted of 609 aircraft of 40 different types. 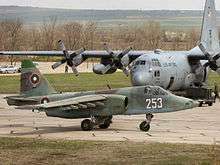 Since the early 2000s, Bulgaria has been trying actively to restructure its armed forces as a whole and a lot of attention has been placed on keeping the ageing Russian aircraft operational. Currently the attack and defence branches of the Bulgarian air force are composed of MiG-21s and MiG-29s. About 16 MiG-29 fighters have been modernized in order to meet NATO standards. In January 2011 the Bulgarian MoD issued a Request for Information (RFI) regarding the acquisition of 8 multi-role fighters. The main competitors are expected to be the Eurofighter Typhoon, Dassault Rafale, Saab JAS 39 Gripen, Mikoyan MiG-29 or MiG-35, Lockheed Martin F-16 and Boeing F/A-18 Super Hornet. On March 9, 2011 the Swedish Government submitted its response to the RFI containing 8 new Gripen C/D fighters. The Bulgarian MoD has extended the time limit for submittal of responses by two months due to the lack of responses from the other competitors. 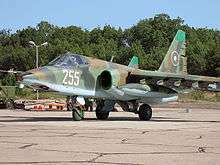 A possible development of the Bezmer forward deployment airbase in the near future is the retirement of the Su-25, merging of the flying and operational support components into the 3rd Airbase in Graf Ignatievo, and possibly basing a UAV squadron in Bezmer. The airbase is a joint Bulgarian-US facility and it also houses the helicopter squadron of the Bulgarian Border Police, flying Agusta-Westland helicopters - one AW139 and two AW109 Power. With the exception of the Navy's small helicopter fleet, the Air Force is responsible for all military aircraft in Bulgaria. The Air Force's inventory numbers around 137 aircraft, including 55–56 combat jets, but only the MiG-29s, about a dozen Su-25s and a few MiG-21s are flight worthy. The L-39ZA is only used for training. The condition of some of the Su-25Ks is bad, but the Air Force is capable of overhauling and repairing them. There are around 23–30 helicopters operated by the Bulgarian Air Force at the moment, including just one Mil Mi-24 attack helicopter. Aircraft of Western origin have only begun to enter the fleet, numbering 27 of the total in service. 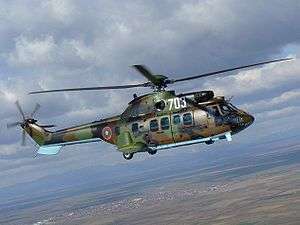 Bulgaria signed a deal with Eurocopter worth 358 million euros for purchase of 12 AS 532 Eurocopter Cougar (4 of which are modified for CSAR) and 3 Eurocopter Panther AS 565. The country also agreed to the purchase of 5 C27J transports with Alenia of Italy, a deal worth some 210 million €. At the end, only 3 Spartan had been delivered. The BuAf plans to retire most of its Soviet-era aircraft, keeping only the Mikoyan-Gurevich MiG-29 Fulcrum fleet which was modernized only recently, as well as its Mi-24 gunships and Su-25s. 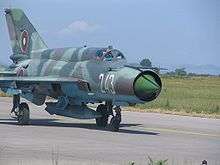 The MiG-21s in service where scheduled to be replaced with possible American or European aircraft, but the program has been dealt with by poor budget and the program is currently delayed. Due to poor budget conditions of Bulgaria, the older Soviet aircraft may stay in service for years longer. Now there are many challеnges-huge problems with parts for the MiG-29s. A few engines will be delivered till the end of 2016 after renewing in Poland. There are plans for purchasing brand new powerplants, but after Bulgaria has chosen the un-licensed WZL factories RSK MiG does not want to work anymore with the country. When MiG-21 was retired in December 2015 things became even harder and the air force desperately needs a new multirole fighter plane. The city of Bourgas is the place around which the 3rd Missile Air Defence Brigade of the Bulgarian Air Force is deployed. 63rd Independent Maritime Helicopter Air Base at Varna – Chaika, which houses the Independent Maritime Helicopter Squadron. 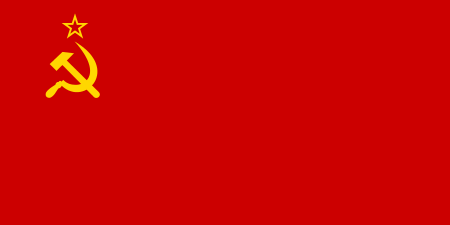 1 2 3 4 5 6 7 8 9 Nedialkov, D. "Air Power of the Kingdom of Bulgaria. Part I"
↑ Green and Swanborough Air Enthusiast Thirty-nine, p. 63. ↑ Green and Swanborough Air Enthusiast Thirty-nine, pp. 64–65. ↑ Green and Swanborough Air Enthusiast Thirty-nine, p. 66. 1 2 Bateson Air Pictorial March 1972, p. 94. ↑ Bateson Air Pictorial April 1972, p. 141. ↑ "Bulgaria sells ten Su-25s to Georgia"
↑ The Bulgarian word "orlyak" used here means a "Air Group"